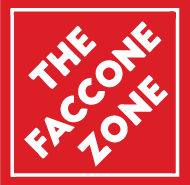 THE FACCONE ZONE – Love bikes. love life. talk too much. The weather gods blessed us with a proper mudder to debut (and break in) our New England themed kits, custom made by Velocio. Velocio is a New England based company that designs clothing for New England weather. Cyclocross is a sport that subjects us all to the most extreme of New England weather. Perfect pair if you ask me. When Andrew reached out to us about working together for cyclocross we jumped at the opportunity. I’ve been a shameless “pee bib” enthusiast for years now. But seriously, ask me how life changing it is to be able to pee on a ride without taking your jersey or jacket off. And you may have noticed that their bib model looks an awful lot like Leslie (OK it IS Leslie). Needless to say, we were STOKED at the chance to work with the Velocio team. And of course, as some things change, others stay the same. We’ve gotten a lot of questions about Team Averica and why our kits changed. I know everyone loves a story, and this is a nice one. Our deal with Averica was for three years, and 2017-2018 was the third year. Over the course of our time with Averica, the company was sold and we knew the contract wouldn’t renew. Jeff, Averica’s founder, has been and continues to be a phenomenal supporter of us as individuals, of our team, and of the sport. Lydia and Julie are taking the fall race season off to enjoy life with uncommitted weekends. We’re all still great friends and supporters of each others’ goals. And of course there’s #Gary. #Gary is still with Leslie and I, taking better care of us than we deserve or could ever imagine. Vittoria, Feedback, and Bell/Giro are still with us too, for which we are tremendously grateful. There’s really no way to express how exciting it is to work creatively with the people who produce the best equipment there is. And last, but most definitely not least, with this team we also get the opportunity to work with some of the finest, and fastest men in New England too. More to come on that! Yea yea, I get that I’m showing my age with an Enron reference. The adults will get it, the whippersnappers should google it (or read The Smartest Guys in the Room for homework). As an adult who works in the investment industry, I’m casually interested in how those around me approach saving and investing. No need to pry into personal business, but it makes for interesting conversation to ask. Maybe don’t ask strangers though. In any event, two things stand out to me from these conversations: 1) It’s healthy to talk about these things with other people; and 2) A surprising (to me) number of people keep their entire savings in a cash account. That latter part makes sense – “investing” is abstract and overwhelming. The sum of these conversations has me thinking I’ll share how I’ve approached a small part of this equation. I’ve taken an Enron-math approach to bike racing money. Bike racing is an inherently cash flow negative sport. Unless, of course, you’re an actual pro, in which case you can skip the Enron math and jump to the conclusion. Saving for the future is hard, especially if you’re not generating a ton of cash flow. These two concepts are naturally at odds. My personal solution: pay for bike races from my checking account (ouch), and if I generate prize money because me or my teammates are fast, deposit it into an investment account. No self-payback for the reg fee. In a sense, it’s a double loss – checking account debit and “spending” the payback money somewhere else. At the same time, if it’s do-able, small amounts invested over time add up to useful future money. It’s also a really good way to start increasing investment literacy through personal investment (find me someone who doesn’t feel emotional about losing money, I dare you) without risking your entire future. Easy option: Robo-advisor. Cheap robot computer portfolio optimization. Low-cost passive index funds, invested according to your risk tolerance (questionnaire-based). Some of them, like Ellevest, have good newsletters to that help frame thinking about investing. I use Betterment, personally, but there are many options and they’re largely interchangeable. Hard option: Open a brokerage account, deposit money there, select individual equities to invest in. Unless you’re winning tons of prize money, Robinhood is probably your best choice here – free! Buying shares in companies you like is a good way to get yourself to follow markets and better understand what it actually means to buy stock. Of course, buying shares in companies you like isn’t always a great investment strategy (see: GoPro), but this is the risky option after all. Robinhood will let you blow it all on Bitcoin too, if that’s your thing. My $0.02: for most people, parking money in a robo-advised account is a smart and cheap way to make sure your money is doing more for you than sitting in cash. Let’s pretend you make $200 in prize money this year. Let’s pretend your imaginary robo-account returns 5% a year on average. Simple math means that $200 is $250 in five years. Like I said, simple returns, Enron math. TL;DR: Don’t leave all your money in cash all the time, cost of living increases will make you poorer and good savings account rates are a thing the current generation hasn’t experienced. What’s up with those knob bottles?! You may even recognize that image from your stock collection of iPhone emojis. Apple calls the image “knobs”, but if you’ve been around the New England crit scene you may know it to represent “dialed”. My own experience with the term dates back… well, for as long as I’ve been part of the B2C2 crew. Rumor has it, the provenance dates to the White Plains criterium some years ago. History aside, it’s come to mean, well, DIALED. Like, when you’re dialed in. I thought it about time this critical image of NE crit racing get memorialized onto merch that will last long beyond the lifetime of this particular emoji. So here we are. Four colors of bottles and a frame sticker to match. Right now I have a couple dozen of each color. There’s a fancy webstore set up here: STORE. When they’re gone, they’re gone. Never to be ordered again. Now that my own offseason is over, I’m stoked to get DIALED too. I don’t know who started calling Gloucester “New England Worlds”, but I’m not complaining about it either. It’s a special race. Gloucester is the one race where everyone wants to have their best performance. It has a magic that draws out a little extra in each of us. Maybe it’s racing with the sparkling sea as a backdrop. Maybe it’s the sheer number of people who look forward to Gloucester as their one “event of the year”. Maybe it’s the rowdy beer garden, even. But whatever it is, Gloucester creates a contagious energy that few other events can replicate. It was extra special for us too, as the whole team was back together for the first time since Rochester. The strength of our team has always been the support system; the camaraderie in suffering, in disappointment, victory, and everything in between. So, in the same way, being together draws extra out of each of us. Imagine fighting, knowing you have three other people in your corner? Except it’s not three, it’s four. 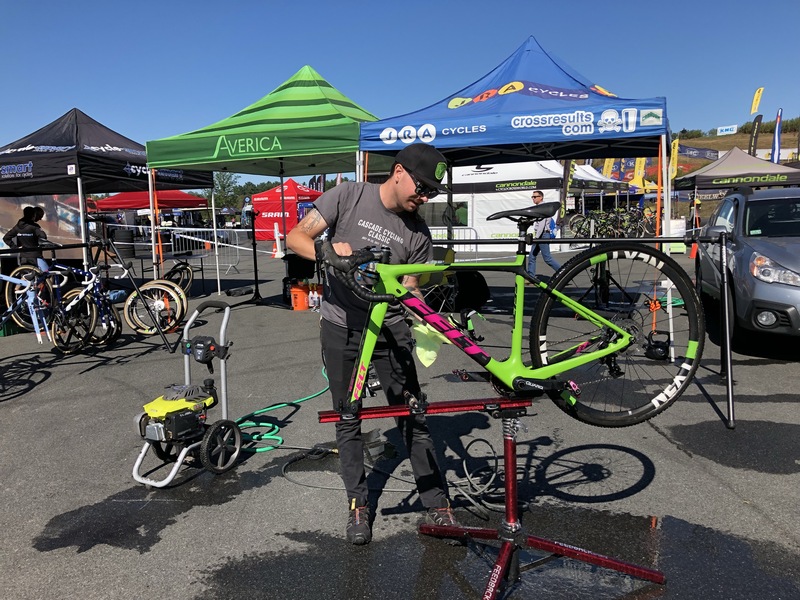 Our mechanic Gary is notably absent from the social medias (unless you follow our #garydoesntknow tags), but he’s as much a part of the team as any of us, and he’s really the one that keeps the operation going. Gary takes special pride in our weekly race footprint and he’s always picking up new things to make the setup even better. This week he debuted new fancy tent walls, including the ones that are half translucent so we have windows outside. (Not gonna lie, I’ve always wanted a fancy tent setup with these ones). We ran through our normal pre-race routines and set out for racing. Saturday there was a big pile-up in the start grid, which is always a terrifying way to start a race. Also, on a personal level, difficult not knowing if it’s one of your good friends sandwiched between pavement and carbon. I had my best Gloucester ever. To be sure, I am one of those New Englanders who most wants to have a breakout race at Gloucester. As a Cat 3 it was the race I really wanted to win. And yet, I was struck by calamity when I had the chance. This year I hoped to finally chase down that elusive UCI point in the elite field. I’d looked at the start list and knew it was possible if I put together a good race. The start crash shook me and I found myself chasing from the back, but never let up. Toward the end of lap 1 I found myself in 10th place and trying not to think too much about it lest I jinx myself into crashing. Shortly thereafter I was joined by Lyne Bessette. Personally, I’m always astonished when I talk to newer people in the sport who don’t know the legends that came before us. Though this day it would’ve been an advantage, for I found myself racing like I was amazed to be there. Amazed to be racing for a UCI point against Lyne Freaking Bessette! No amount of people asking her if she enjoyed her time in the Faccone Zone could calm my nerves about that one. Let’s take a brief stroll down memory lane for those of you who may not know why this is the coolest thing I’ve ever done in a race. Lyne has WON Gloucester at least three times that I see in crossresults. Look at 2007, she won both days after racing the 2/3 men’s field first. And finishing 7th and 9th. She’s a multiple time Olympian. She had already retired when I started racing, but I heard many stories about the years where she’d pull over before the finish line to avoid getting UCI points, so as not to compromise her paralympic eligibility. She’s a legend. This is one of the places where my nerdery about the sport interferes with my ability to participate in the sport. Believe me, I suffered hard trying to keep Lyne’s wheel through the start finish every lap. But I never raced like I was expecting to beat her. And the thing is, you can’t beat someone if you don’t really believe you can do it. Because if you don’t believe it, you can’t go all in on executing it. And I didn’t. I raced like a passenger, and I got the results of a passenger. Which is all to say, I didn’t get that final UCI point Saturday. I mentioned that our team is special because of the support structure. Talking with Julie after the race, she said something small that fully reframed my thoughts about the race. She asked a simple question about my execution, but in a way that helped me see where I should’ve done things differently. Where I have to do things differently if I want to succeed. But in a way that says “I want you to find that success you’re looking for, let me help!” and not “you messed that up let me tell you”. And that’s true for all of us. Each of us wants the others to succeed as much as ourselves. I came into Sunday ready to claim points. I knew what I had to do, and I felt ready to execute differently. Ultimately, I just didn’t have the legs on Sunday. It’s disappointing, but that’s bike racing. Every day is a new opportunity. Sometimes you feel great, other times not so much. Naturally, once we knew this we took a long series of intentionally green screened photos to do fun things with all season. If you get tired of these, blame Alex. And, to save the best for last, our good friend Carlo put together sick footie from the weekend for us. We love Carlo and we double love this edit. Thanks for everything Gloucester. Can’t wait to see what the 20th edition has in store for us next year. And thank you to Paul and everyone behind the operation there. It’s a massive effort to put this race on every year, and I appreciate it so much. Hi! In case you don’t know me in real life, I am a small person. I measure a whopping 62.5 inches tall (no idea what this is in metric), with a 26-27 inch inseam. If you also suffer from below-average height, you may relate to what I’m going to say next. It can be really hard to find a small bike that fits and handles well. The historical norm was for bike manufacturers to design to an average-sized frame (like a 54! ), then shrink and expand the mold to offer a full size run. This would often lead to what I’d call “externalities” in the extreme frame sizes. Bikes would have weird cable routing due to short headtubes and incompatibly placed frame grommets. Toe overlap would be extreme (though I’ll address up-front that it’s almost impossible to eliminate toe overlap entirely). Certainly for part of the population, “women’s specific” designs have alleviated some issues. For me personally, being a woman with short legs and a long torso (relatively speaking, of course), I don’t fit the prescribed proportions for the adjustments in women’s specific frames. But more importantly, women’s specific designs are more commonly a road-frame thing, not so much a cyclocross frame thing. There are some patterns here, of course. I liked my first crux so much I went back to cruxes two years ago. Specialized has always done a good job designing bikes for the entire population, and the crux is a good aggressive cross bike. Focus made a big jump in geometry between the 2013 and 2015 model years I rode. I enjoyed the geometry of the 2015 Mares and it was a light bike, but it wasn’t made to handle the beating I put my bikes through and I broke it. This year’s bike selection started with talking to my friends at JRA Cycles about which cyclocross bikes they carried and then which frames came small enough for me. Teammate and general rad human Mike Wissell recommended Felt, and I pulled up the handy frame comparison machine. Note that I’ve used my road bike as a comparison, rather than one of my prior cross bikes. This is because I made significant changes to my fit this spring – I finally found a saddle that allows better forward pelvic tilt, and I moved from 170mm to 165mm cranks. If you’re interested in the relative differences between cyclocross frames, the geometries of the Felt, Crux, and Mares are here. The Felt (Green) is a bit longer than my road bike, but otherwise offered a spot on fit transfer. Note the handlebars – the Felt frame is a bit longer (as they are known for being), but with a 1cm shorter stem than stock I could get my hoods in the exact same position as my road bike. I highly encourage this exercise for anyone who has trouble translating frame geometry charts into perceptive differences between bikes. This was enough for me, personally, to commit to the bike. I selected the frame that, for me, offers the best spec to price point ratio – the F4x. Now that I’ve had the bike for a few weeks, with a few races under my belt, here are some notes. The geometry is on the longer/lower side. There are two headset caps included in the box – the stock one is a taller stack, but there’s also a low stack option. This lets me actually have some amount of saddle-to-bar drop on a cx bike for the first time. By shortening the stem, I was able to replicate my fit without slamming the saddle forward. I can weight the bars for traction in turns, but overall have a balanced position. This is useful for not going over the handlebars, as I am prone to do. I changed out the bars for Zipp SC SL ones. The stock bars are stated 40cm, but felt a bit wide for me, so I opted for light and narrow ones – this is purely a personal preference thing. Once I swapped the stock 90mm stem for a 80mm stem, my fit almost perfectly replicated my road fit. This allowed for a really smooth transition from road to cross bike from a physical standpoint. I changed the stock 40t single chainring to a 38t single ring. I personally find the 40 harder to get on top of, and rarely run out of gears with the 38. I kept the stock 11/32 in the rear. Once I got my fit dialed, Gary shortened all the cables to fit my low bars/small frame combo and everything is tight. There are no odd cable routing issues to speak of. I actually have quite a bit of saddle height adjustability. I run a saddle height of 620-625mm. This is… a very small number. I’m typically stuck with very little seatpost showing and very little standover. I was pleased to discover that this particular frame has a short seat tube (it is a 47cm frame, after all), which allows for both seatpost adjustability and also standover. Which is all to say, it’s hard to find great bikes for small people. I’m really pleased with this one. Bonus – the bike can take a beating. I’ve already crashed it hard a few times and each time it’s gone right back to duty with no issues beyond a replaced derailleur hanger (knock on wood). Before I get started on what happened yesterday, let’s take a step back a year. Last year, for the CT State games, promoter Rick Comshaw posted what I felt was an unfair and inequitable race flyer. The Women’s elite field was offered a percentage of rider registrations as payout for a State Championship race. For the sake of brevity, let’s assume you already understand the reasons that approach unfairly penalizes already smaller minority populations and offers a disincentive to race. I wasn’t alone in my outrage. There were mixed approaches to the situation last year, with some of the men trying to organize a boycott in solidarity with the women, some people reaching out to the promoter directly, and some reaching out to NEBRA, our local governing body. It had an impact, with the men’s elite field size taking a hit in numbers. Men’s 1/2 field at Nutmeg is down by 25 riders from last year. About $900. The amount needed to make the women’s 1/2 prize money equal. Some of our peers in the elite women’s field showed force by showing up and racing hard, to prove something that shouldn’t have to be proven at this point: that women’s racing is compelling, competitive, and deserving. Unfortunately, they left disappointed. So let’s jump to this year. NEBRA held a line that they wouldn’t permit the CT State Championships to a race with unequal elite men/women payouts. We got a flyer for the Nutmeg Games that appeared equitable. I was skeptical, but part of the thing about being an outspoken loudmouth demanding change, is that you kind of have to back it up with a willingness to support change when it happens. This includes rallying my fellow outspoken peers. Positive changes should be positively reinforced, right? On Friday I noticed that not many people were registered for the race, which I was bummed about because I like racing and big fields are fun. whyyyyy is nobody registered for nutmeg crit this weekend?! ladies where you at? The 5pm start time on a Sunday near Hartford was definitely sub-optimal, but I figured we’d get a few last minute additions. Knowing we had the NEBRA permit-stand going into this race, it hadn’t occurred to me that there would be any outcome other than whoever showed up racing hard and being paid out as per the flyer. In the car on the way down my inner skeptic started speaking up. The radar was showing rain and I wasn’t so sure anymore that we’d get many day-of registrations. I bet Leslie one fancy-coffee drink that we’d get to the race and Comshaw would cut the prize list. She took the other side, believing that promoters must hold to what’s on the flyer. We picked up numbers, got pinned, hid out from the rain, made small talk with our fellow racers, and ultimately lined up at the start. By this point it had started raining and the forecast only called for more rain. At the line, the promoter and an official asked us what our preference was for race time. The flyer stated we’d have a 60 minute race, and we stated that we’d all be happy to race 60 minutes, unless the weather conditions became unsafe. We were repeatedly asked if we would be willing to do 20-30 minutes because of the rain. We declined. We were pushed to agree to 45 minutes, which we agreed to only if the weather became too unsafe to continue racing. “Minimum field f is 15”. Of course, I couldn’t see this until after the race, when I was out of the pouring rain and could inspect the flyer more closely. Ultimately, I decided to race, and I did so for a couple reasons. It was a state championship race for the 4/8 racers that were from CT. It wouldn’t be fair to them to walk away and make an already small field smaller. It wouldn’t be fair to any of my peers who wanted to race. It was 5pm on a Sunday night and I still needed to do a workout, which I was unlikely to do if I left that venue. I paid $40 US Dollars to participate in this event. More than anything, it put us in an impossible situation. It feels like “fool me twice” for me, believing that there could be a different outcome this year and showing up to be proved wrong. It undermines my trust that there’s actually any governing-body power to stop this kind of inequality. I’m not clear if that’s an acceptable line in a flyer, if it’s binding, or if it’s the version NEBRA approved. I’d argue that even if it is valid, there’s a burden on the promoter to make this known to racers in advance. Promoters have the ability to message all riders through BikeReg, where we all dutifully submitted our $40 to race. I’d argue that it’s disingenuous at best to accept our money fully knowing there was no intention to pay out the prize list. At worst, it’s fraud. In a show of grand generosity, the promoter did say he’d still pay out the primes he’d planned for the race. There were two primes, each for $10. Yes, you read that right, $10. Leslie won them both. She used her $20 to buy me dinner, actually. Take a second and look back at that flyer for me – see something notable? A minimum of three (3) $100 primes for the men’s elite race. So where do we go from here? Well, I’m going to write a letter to the Nutmeg State Games directly. I’d love if you would be willing to do the same. Tell them that it’s disheartening to see them supporting a promoter that doesn’t believe in equity, and who thinks changing the rules on the start line is an acceptable way to run a race. Tell them that CT deserves better for their state championship, and that there are other deserving races in the state and other promoters who take an active stand. I’ve already been in touch with NEBRA. And here’s where it gets tricky: men, I’m going to ask you to take a stand. Situations like this can persist indefinitely as long as there are powerful people standing by to allow it. And men, particularly elite men, you are the empowered group. Unfortunately, saying nothing here IS saying something. I know we all want to race, and we want racing to be a relief from an outside world that seems to be raining politics on us full-time. That’s exactly why we need bike racing to remain a safe space for all of us, and a refuge from the injustice everywhere else. Men, we need you to take a stand against races like this, and against Rick Comshaw personally. Men, particularly prominent elite men, refusing to participate sends a message that this matters. UPDATE: After communications with NEBRA, the Nutmeg State Games are stepping in to reverse Sunday’s decision and pay out both the Women’s elite and Men’s 30+ fields in accordance with the posted flyer. The official statement is here. I appreciate the quick response from the Nutmeg Games. Personally, I’m going to donate my winnings to NEBRA. They do great work for us here in New England and work tirelessly to improve our racing community. They also provide resources, financial and otherwise, to promoters and racers. It’s my most sincere hope that we will not all be in this position again, that the race in New Britain returns in the future, and that we can all race there and have a good time.